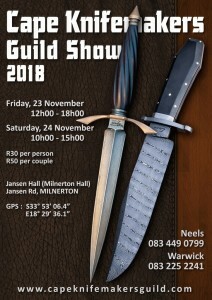 On Friday and Saturday the 23rd and 24th of November, the Cape Knifemakers Guild will once again be holding their annual Knife Show at Jansen Hall in Milnerton to showcase and sell their wares. Each of the unique knives on display and for sale have been handmade by guild members. 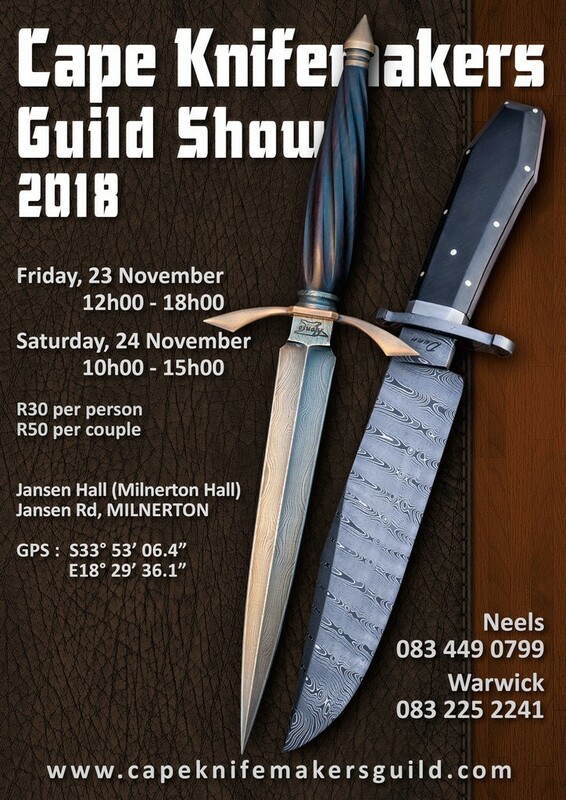 So if you would like to see and own any of these amazing pieces of workmanship or even to find out more about becoming a knifemaker yourself, make sure you get down to the show!